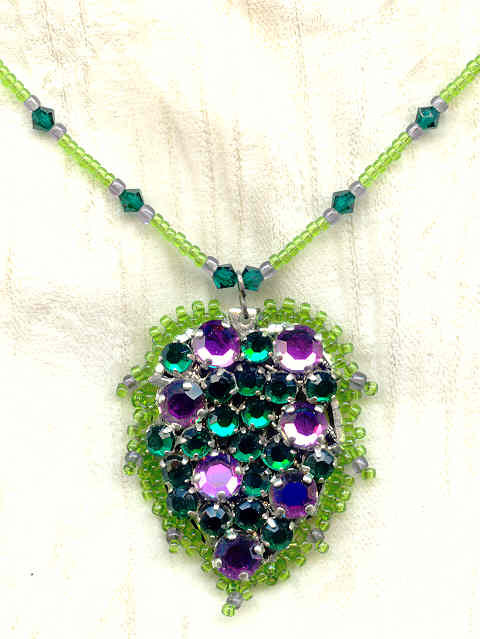 Beautiful vintage Swarovski crystal prong set stones ('roses montees') have been securely hand stitched onto silverplate leaf shaped filigrees in this artisan beaded pendant. 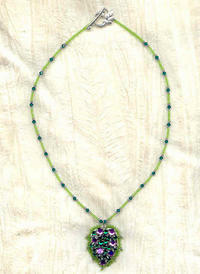 I've added a picot of peridot and grape glass seed beads that mimic the leaf shape. The 20-inch strand features more of those same seed beads, accented with Swarovski emerald crystal bicone beads. The necklace closes with a leaf motif sterling silver toggle clasp. The pendant drops about 1-3/4 inches below the strand. 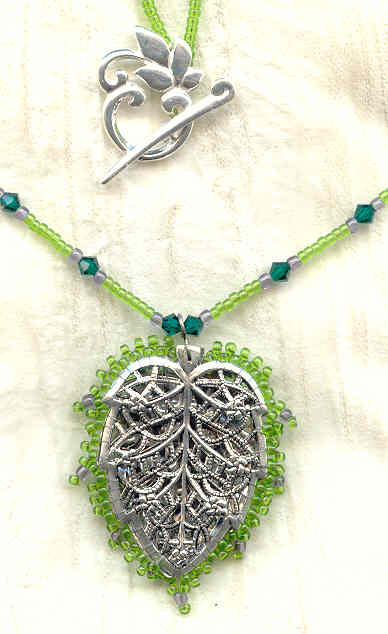 It's another fabulous artisan pendant from SPARKLE PLENTY.